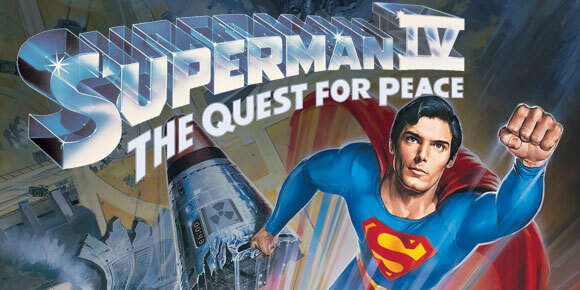 Ep 65 Superman 4 The Quest for Peace : Do You Expect Us to Talk? Is it bird.. is it a plane… no it’s a film franchise crashing and burning. This week we continue with the story of the Man of Steel as he takes on a nuclear weapons with a budget of £10.50. When a school kid (who’s even more annoying than Ricky from the last film) writes a letter asking Superman to rid the world of nuclear weapons, Superman does just that with no issues from other nations. However Lex Luthor has other ideas and plans to cash in and makes a naw super being Nuclear Man (not Dolph Lundgren) using a lunchbox and a strand of hair. Join Becca, Dave and Chris as we talk about what the hell we just watched, Superman abusing Lois, how exactly does Nuclear Man has Gene Hackman’s voice, just how much Christopher Reeve really wants to be here and how many times we see that same shot of Sups flying towards the camera.